Life is all about routine, and it seems that the more often you do something, the more you (unintentionally) take it for granted. Right now, my routine consists of making a home and the endless amount of chores that come with running a homestead. As a result, Prairie Baby spends a LOT of time outside with me. Sure, I could wait to do all my chores until naptime, but I usually can’t fit them all into those precious few hours. And, truthfully? While other moms tell me they can’t wait for school to start, or for the babysitter to show up because they “can’t be with their kids that much”, I will freely admit that I enjoy my child’s company. Really. So, my days turn into a whirlwind of putting on baby shoes, sunscreen, and play pants, going outside to accomplish a few things, then coming back in, washing her hands (and sometimes feet), having a snack or taking a nap (her, not me! ), and repeating the process. We go in and out sometimes dozens of times per day. Hanging laundry, harvesting from the garden, locking animals in, turning animals out, collecting eggs, watering, weeding, petting the cows, taking kitchen scraps to the goats and chickens, and the list goes on. She squeals with delight each time I open the door and can hardly contain herself by the time we get to the barn. She starts “mooing” and “baaing”, stretching for whatever animal is close enough for a scratch. As I clean pens or water, she happily toddles around the barnyard picking up baby-sized handfuls of hay to “feed” to the cows, or chasing the “ki-ki” (cat) and begging for it’s attention. Prairie Baby lives a unique life as compared to most “modern” 16 month olds whose days are filled with cartoons, child-safe play yards, and daycare centers. Right now, her existence consists of the natural world: dirt, plants, the elements, and animals. Yesterday, we spent part of our morning digging potatoes from the garden. 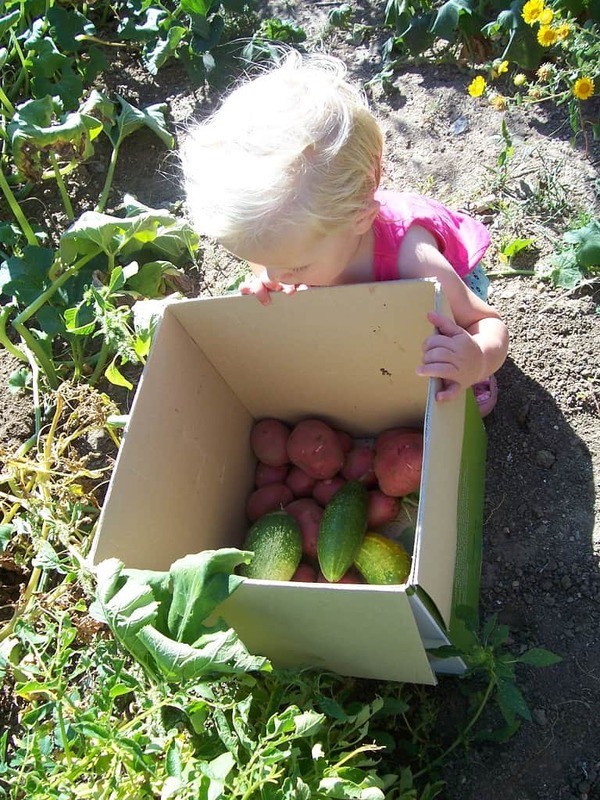 She was fascinated by the plump, red spuds that I deposited one by one into our box as I dug them from the earth. She had a blast rummaging around in the box, picking out the teeny, tiny ones, then tossing them back for the biggest one she could find. 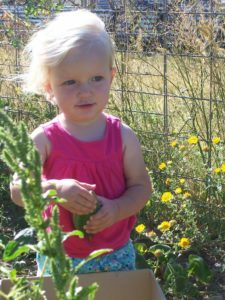 When she grew tired of that game, she toddled around the garden, digging her fingers into the dirt, exploring all the plants (and weeds) until her tiny nails were packed with soil. Then I stopped what I was doing for a moment, and took it all in. I never want to take it for granted how fortunate we are to be able to raise our child(ren) in this setting, and I hope that if you are homesteading or living rurally, you won’t either. 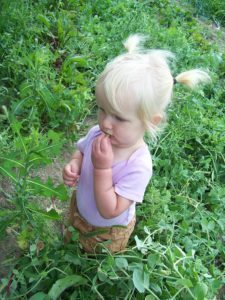 Prairie Baby knows how dirt feels under her bare feet, the way the wind whips at her hair, that you can eat peas and beans right off the plant, how you must move softly and gently to coax a kitty to play, and how ticklish it is when a horse thinks your hand is a fly. Though all of these things and more were an common part of our ancestor’s lives, do you realize how many adults and children in our modern times have NEVER experienced these things? That thought makes me sad. So many children and adults today never really get to experience nature. Their days consist of going to work or school in an industrial-type enviroment, then coming home to sit inside and watch TV. They hardly have a chance to get off asphalt. 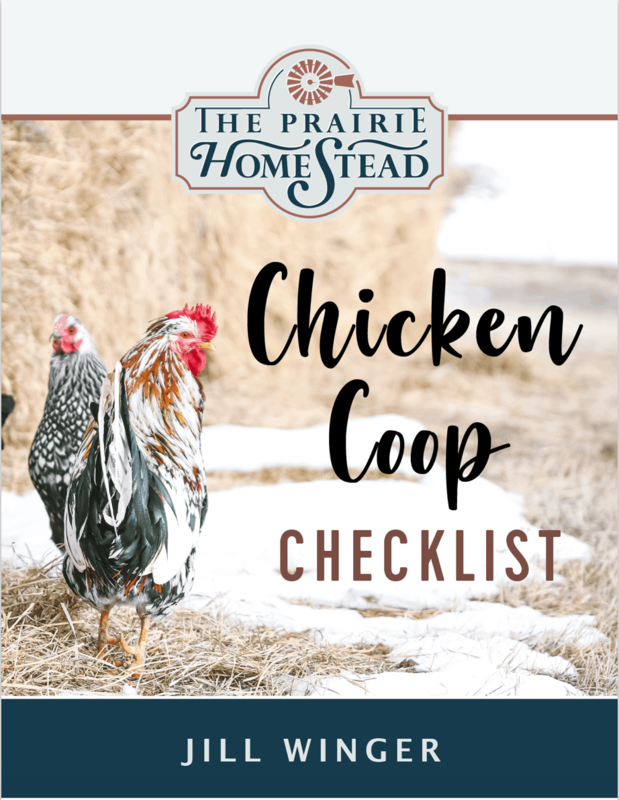 Now, the purpose of this post is NOT to make you feel bad if you live in town or haven’t yet been able to fulfill your homesteading dreams. Quite the contrary, in fact. 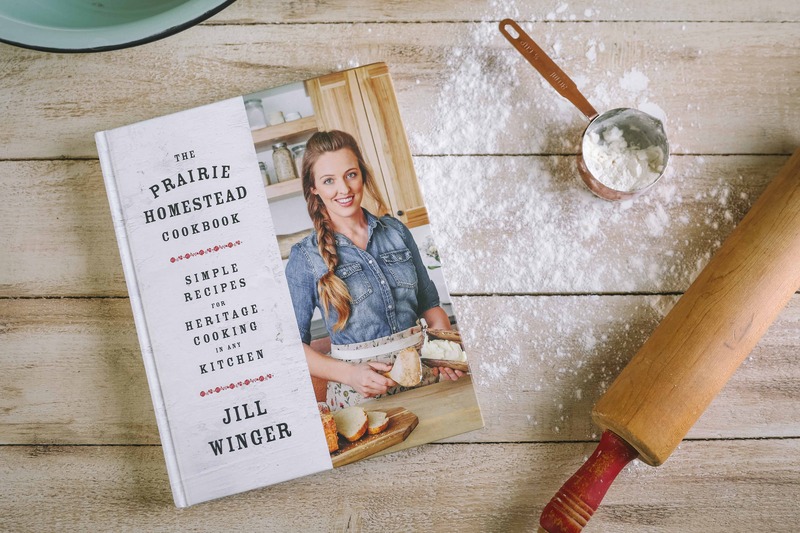 If you are a city-dweller, or unconventional homesteader, there is hope! If you have kids or grandkids, make a concious effort to engage them in the natural world around them, even if you live in town. Grow something; whether it be in a pot or a small garden plot. Allow your excitement to inspire them, to pull them away from the Xbox. Visit neighboring farms or join a Community-Supported Agriculture program. Show them the importance of knowing where their food comes from. Let them get dirty. Take them to the park, roll around in the grass and get dirt between your toes. And if you are homesteading or living a rural life with your children, please don’t take it for granted. Know that yours is an unique and special experience. Encourage your children to be an active part of your homestead. Inspire in them a love for the land, animals, and real food. A love for life. 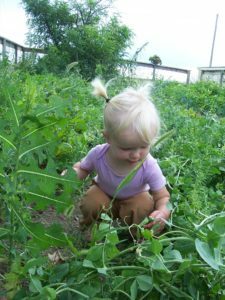 As I watch Prairie Baby explore the natural world around her, I can’t help but think that this has to be how God intended us to live. After all, life did begin in a Garden. Your daughter is purely adorable! What a beautiful life you two have together! I can’t wait to have my own version of it – taking trips to the farmer’s market, involving kids in choosing the produce, visiting the farms and watching their little faces as they see a chicken (chickens are fascinating, aren’t they? ), harvesting veggies, bringing the fresh stuff back home and teaching them to cook with it. Sounds like paradise to me! Love this post. I do not have kids, but was raised playing in the dirt, feeding animals, and “helping” Mom and Dad on the ranch. It is a great way to raise a family. You are living my dream! I wrote a post Aug 12 (http://wp.me/p1BPh9-eq) about how sad I am that I blog about natural health and being a good steward of the earth, but my children have to go to the county fair to see a cow… and even then they are terrified! The experience made me step back and realize how important it is for them to be exposed to the experiences you enjoy on a daily basis. Hopefully, joining a co-op, taking an upcoming farm tour and encouraging them to help in our tiny backyard garden will help… And I’ll continue to look to you for inspiration! I love your blog!!! I have four children the older three were transplanted onto our “farmette”(3.5 acres) the youngest was only a year old when we moved. He is my weeding buddy, the chicken king, and the goat wisperer. We’ve watched chicks hatch together and goats kid out. It’s those moments I cherish. 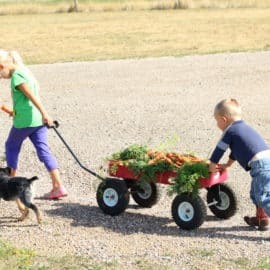 My older children help with the farm chores and enjoy the animals but they don’t seem to have the same connection. We don’t have the video games and electronic devices and limit the tv so the kiddos spend more time outside. I love when my brother brings his kids. My niece is five and she falls out of the van everytime trying to get her boots on so she can go play with the goats…spreading the love to her too. She says she is going to be a farmer and raise chicks and goats but not cows! Thanks, Jill. Sometimes I do take it for granted. I am so thankful that God put us here for this time in our lives! Beautiful post! 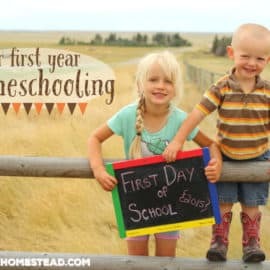 I am a homesteading and homeschooling mother of four (8, 4, 2, 1) with baby number five on the way. There is so much joy in including all the children in daily activities. I also find that being outdoors so much during pregnancy makes me enjoy it a whole lot better too. I agree with this post so much! One of the best ways we can invest in our children is make them understand they are an important part of daily life rather than a burden to us and our “important” schedule. I can’t believe how many people I run in to who tell me they could never stand to stay home with their children all the time. It breaks my heart. It may not always be easy to get things done and the house may also look something like a small natural disaster has occurred but my children are far more valuable than the things of this world. The world has come so far from the way God intended us to live and nurture our children. God bless you and thanks so much for this post. Well said Shar Ann! Yes, raising our children is definitely the highest calling! I couldn’t agree more. And congrats on #5! How exciting! Beautiful blog! It made me smile. My kids are 16, 24 and 26. So, these sweet years are behind me. New picture perfect moments make their way into my days now. Blessings! Your daughter has grown so much since the photo of her sitting on the ground with the goats. 🙂 She’s beautiful, and it’s great to see a child her age enjoying nature. Yes, it’s a good life, isn’t it? And your Prairie Baby is adorable! This post really resonates with me! One set of grandparents ran a dairy farm when I was growing up. 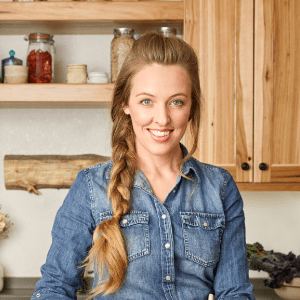 What a blessing – and I learned so much from all of my granparents about being self-sufficient. These lessons were learned under the guise of fun! Your little one will remember all of these things as she grows up. How incredibly special to have had grandparents who could pass those life lessons along to you! Those sweet years… My teenagers are involved in their own computer-filled life. I hope they wil find their way back to the joys of pure and simple. And why not?! I remember my own stormy years (Which were only a breeze compared with those of my kids), but nontheless, I also prefered the world outside my parents fences before I came back and took happiness from the earth beneath my own feet. Jill, what a lovely post and so true. All my 4 children were raised “outdoors” even in the city and now we have a little farm right here in the suburbs and even as teens they are still very much involved. I was raised in the city, and aside from a few weeks spent in semi-rural towns, I did not really get much chance to experience natural things. I recall how, in elementary, the class had to plant a garden and I grew a tomato plant. It bore fruits the size of grapes but I was so proud. I’m 31 years old and I have never tasted a pea fresh off the pod 🙁 When my kid grows a bit more, I intend to plant a small garden with him. 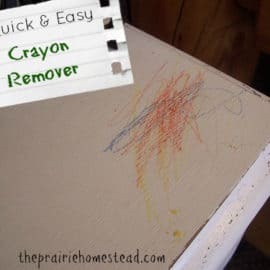 What a wonderful post, when my children were little we lived on a couple of acres, and I loved bringing them outdoors with me to tend the garden and the chickens. Such a wonderful way to raise children. I was raised in the suburbs, but my grandma always had a big veggie garden and my other grandma always took me and my sister camping- I feel blessed to have had Grandparents who taught me these things. I just found your post through wardeh’s simple living thursdays. What a wonderful post! It really rung true, as I’m raising my 19th month old little girl the same way 🙂 We hosted my nephew’s 5th birthday here yesterday, a dozen suburban five-year-olds running around the place! Boy, did they have a blast! They piled into the hay-filled wagon for a tractor ride, ran from the garden to the chicken coop, up the hill, through the pear trees, and back again. Over and over! It made me realize that as my little one gets older she’ll enjoy this place even better, running all over, finding hideaways, collecting eggs all by herself. It sounds ideal. We are working our way toward something similar. I know just how you feel about enjoying your child’s company. Never understand how folks can’t wait for their kids to go back to school. My son is my greatest teacher and we are blessed to homeschool. Lovely post! It takes a lot more time and energy to involve your kids in your daily chores than to do it during naptime. We do both to get everything done, but the smile on their face when they master a skill or accomplish something on their own is worth every second. The first time they catch a chicken by themselves. The first time they open and/or close a gate all by themselves. The first time they pin a lamb for tagging by themselves. The first time they show someone else (especially other adults!) how to gather eggs, clean them, and put them in the fridge all by themselves…the character it builds is just unfathomable! And I posted today about them playing outside. We’ve talked about putting up a swingset or something, but this weekend they spent 2 hours just playing in the tall grass. No toys, no bikes, no swings and slides, just outside crawling around. Babies are so cute in the garden! 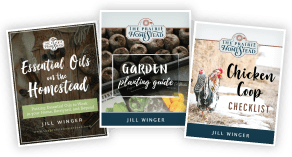 Thanks for joining the Raising Homesteaders blog hop. What sweet pictures of her! My boys have enjoyed getting out in the garden this summer too. They really liked eating green beans raw off the bush. I just found your blog and can’t wait to read the past posts, I am now following you! Please stop by and visit me! Love the post. I have a silly question. Are there any tips and tricks for newbie homesteaders who don’t have a fence set up yet or a brick and mortar for that matter to keep kids close and/or safe. For example, keeping them in a play pen outside is not practical, and I’m not talking about kids old enough to understand and remain with you without running off from time to time. Are there ways to do that for 2 year olds and younger? Thanks. Not a silly question at all Kristen! My daughter is 20 months old and we don’t have a fenced yard, either. She’s been outside with me since day one. 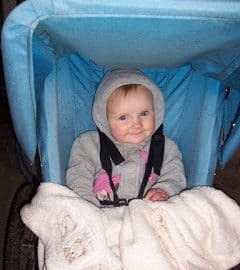 At first when she was really small, I would take her out for short trips and let her sleep in her infant seat or playpen in the shade. She took many a nap in the cool of the barn on a hot summer days while I did chores. When she started to walk, I guess I just let her toddle around with me, but always watched her out of the corner of my eye. It always takes longer to get things done when she’s with me, but it’s worth it. Our garden is fenced, so I just let her roam around in there while I’m harvesting or weeding. In the chicken coop, I just turn her loose while I clean, but it’s a little harder in the barn with the larger, more dangerous animals, so I usually lock them out in the pasture while I do barn chores. Since the very beginning, we’ve made it a point to work with her on coming when she is called and obeying mama. It’s a work in progress, but very important for her to learn. I love this whole post. My kids (and I think most) are just naturally drawn to nature. It’s like they’re in their element there. I do have one question. Are you concerned at all with her coming upon a rattlesnake while she is out with you? How do you handle that? 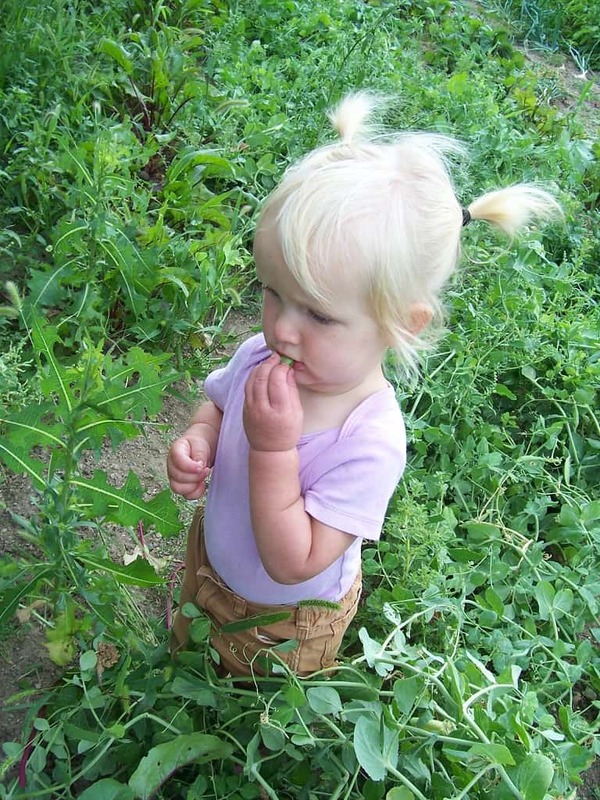 We are looking into starting a homesteading lifestyle and that is one of my biggest fears. So anything you could share that would help me think through this and calm my fears would be much appreciated. Just found your blog and have been browsing around. Love a lot of your articles. My son is now 4 and we have always been big on getting outside and getting dirty. He is very limited on the tv and usually only on the computer for home school. Last summer we had our first garden and he was such a joy to watch get excited as the plants sprout and then bring forth fruit. We just got our first chicks and I love how he lights up when he holds them and they eat from his hands. I can’t wait till we move to our out of town and down in the woods property. As we get to our homestead and it grows with animals and gardens and excitement, he and any children to come will be close to our sides! I enjoyed your take on it and how to treasure it. 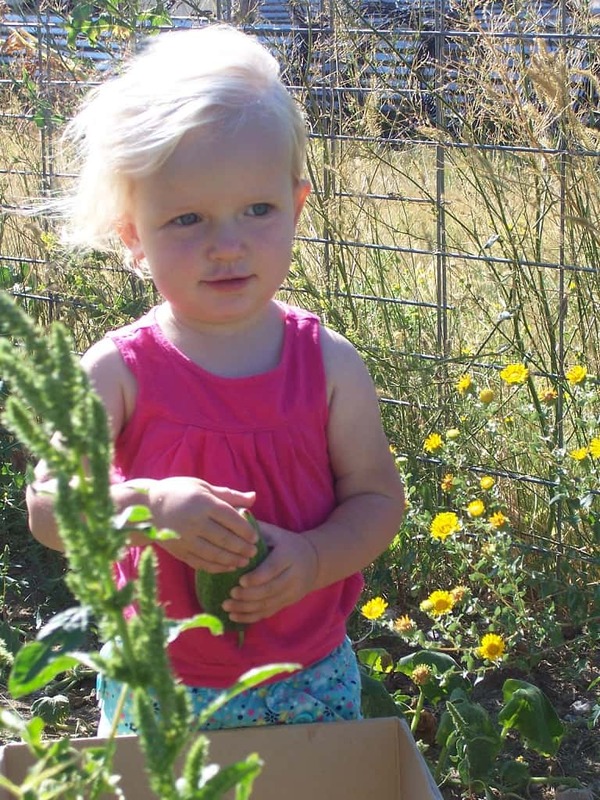 Your little girl is so adorable out in the garden! Good post. I feel the same way about my little ones. However, since our little homestead is in a very rural area (70 miles from even Wal-mart) in a way I worry about my children growing up to be “hicks”. My older two, who as of this posting are 2 and 3, do not get around other children very often. Sure they can squirt milk out of a goat and are expert egg gatherers, but something is missing development-wise. They also need to be able to function in the real world. We now go to storytime every week and our church’s homeschool group every month. I think this has helped a lot. My son has a speech problem, I think in part because of his lack of exposure to other children. He is going to preschool in August for speech help. We are homeschooling in the future, but at this point, with his personality, he needs the structured classroom. My relatives live in and around New York City. We go back and forth about once per year to visit. I hope that during our trips we will be able to expose them to “culture” stuff. Even in Denver, our closest big city, there is not nearly what is in New York, Philly, DC, Boston and those ‘culture’ area. I guess my wish for my kids is for them to be able to navigate a subway, yet still have all these great country skills and experiences, too. Thank you for your thoughts. I am from a very large city and we have just moved to a rural setting. We have four acres a garden and two dogs….did I mention my son who is 3 yrs old. It’s been two years here and I have been debating weather or not this is the best place for him. I have chosen to have one child at the moment and I am worried that he will grow up too isolated. Then I stop and think, we live 15mins to a fairly large city with everything you may want. He hasn’t started school so it’s a little hard to meet little ones. I make it an priority to take him to tot groups, library programmes soccer, gymnastics ext. But after reading this I think, your right. We are out all day in the summer and we have a lot of fun in the garden. And he plays outside, as is free! He is so lucky to grow up near horses and cows. I guess, it’s hard for us to meet like minded people and I just don’t want my little one to suffer for it. I hope we meet one person who is like minded and becomes apart of our family out here. Thanks again. And please if you have any suggestions I am willing to hear.